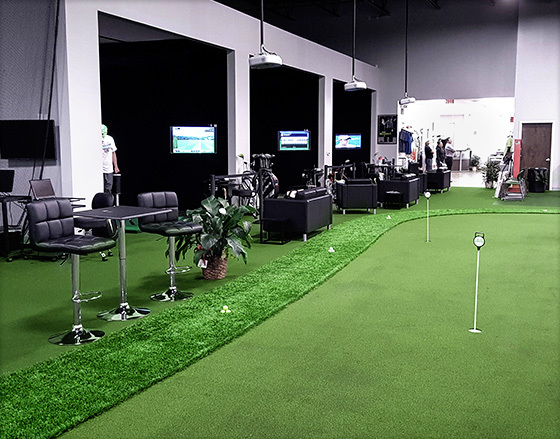 Due to Tour Greens’ expertise in designing and installing tour quality putting greens, we at Lanmark Designs are often tapped to help lay out a training facility or figure out how to transform a space into a complete practice environment. 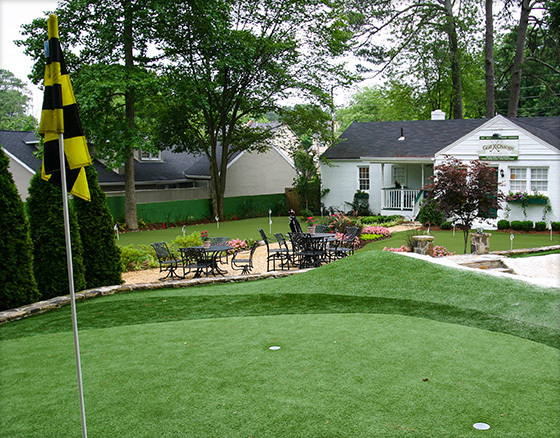 When space is not at a premium, we can turn a backyard putting green into a complete short-game practice facility. 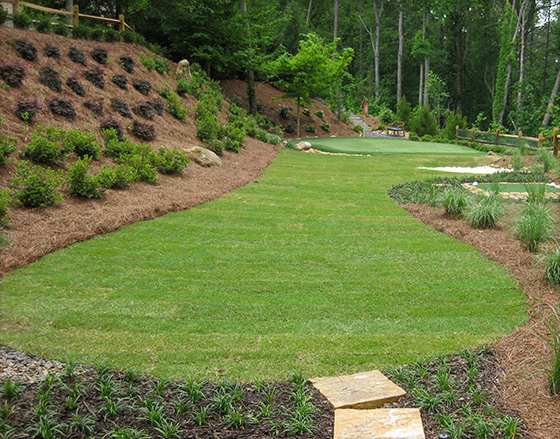 This space features two synthetic grass chipping tee boxes, a sand trap, a stone creek, and a Tour Greens putting green surrounded by a stone creek, plenty of plants and a resting area. 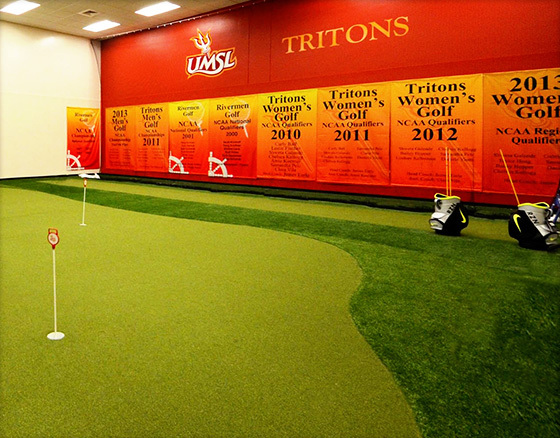 While landscape architecture typically deals with outdoor environments, the Golf Performance Institute approached Tour Greens about laying out the design for an indoor training and therapy facility. The facility utilizes 5 different surfacing systems from XGrass and Play It Surfacing to accommodate the needs for a variety of training and rehabilitation activities.